The Butterfly Star quilt block is made of easy patches, but can be a test of the accuracy of your quarter-inch seam allowance because it contains a small block (comprised of small patches) inside a larger block. However, none of the individual pieces are difficult to construct. This block is sewn as a four patch to create the centre of the block, and then constructed as a nine patch for the remainder. It contains the commonly used patches flying geese as well as half square triangles. By using your imagination for the layout, you can create a stunning quilt. 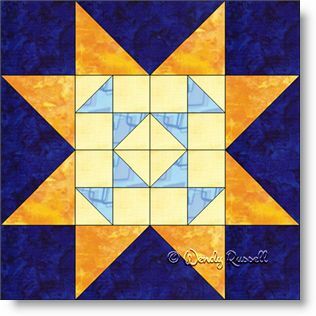 Use the sample quilts shown as inspiration or design your own. Enjoy!